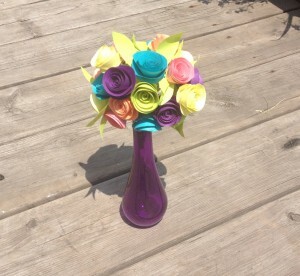 I’m on a roll �with paper flowers lately. I love them, they can add a burst of color and cuteness to any room. 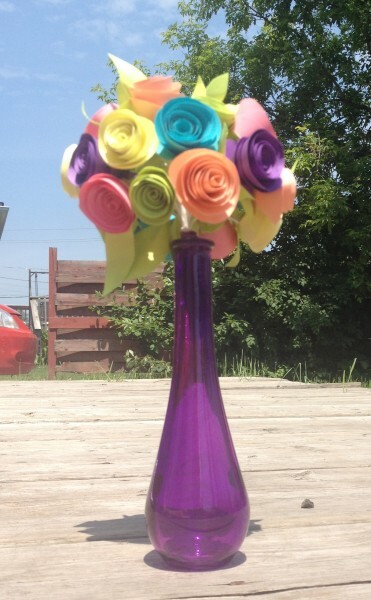 I recently made tissue paper roses and they turned out lovely and an adorable summer wreath out of paper flowers too. 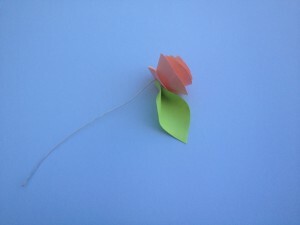 This time I made a bouquet�with construction paper. They are so easy to make! 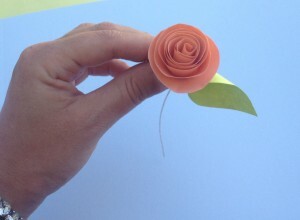 I have a tutorial in the tissue paper roses post. Those are just the ones off the top of my head. Any more suggestions? I purchased the vase at Walmart for 99 cents and had the choice of a variety of colors. I think my next paper flower project will be peonies, they are so pretty and I haven’t tried to make those yet. What kind of paper crafts are you into?